. استمتع بالخدمات الراقية والضيافة التي لا مثيل لها بهذا الفندق في أديليد. يقدم الفندق خدمة الغرف على مدار الساعة, كازينو, مكتب الاستقبال على مدار الساعة, مرافق مخصصة لذوي الاحتياجات الخاصة, تسجيل وصول/خروج سريع لضمان الراحة القصوى لضيوفه. تنعكس أجواء ستامفورد جراند أديلايد في غرف الضيوف.تلفزيون بشاشة مسطحة, بياضات, مناشف, غرفة معيشة منفصلة, حوض الاسترخاء هي بعض الميزات الموجود في العديد من الغرف. يقدم الفندق مجموعة رائعة من الخدمات كمثل حوض استحمام ساخن, شاطئ خاص, مركز للياقة البدنية, ساونا, مسار جولف - ضمن 3 كم، لجعل إقامتك تجربة لا تنسى. إن ستامفورد جراند أديلايد هو مكان مثالي للمسافرين الذين يتطلعون إلى الراحة والاستجمام في أديليد. أجر إضافي يتراوح بين1.16% و 3.09% سينطبق عند استخدام بطاقة إئتمانية. لمزيد من التفاصيل برجاء التواصل مع العقار. Great location on the beach. Would like to have stayed more, was there only for one night. I stayed two nights there and had an absolutely fantastic experience. My returning flight was cancelled on the day of check-out and the next available flight was not due for another six hours. The customer officer was very understanding of my circumstance and offered to let me access the hotel pool in the meantime. I was very grateful for the kind hospitality. I look forward to returning to this wonderful establishment soon. Moved room because air cond pumping hot air out. Initial check in response condescending. Was never pre advised that a $300 bond would be debited from my card. Bond still not refunded after 5 days. Parking cost overcharged. Exceptional hotel and got a great deal . Quiet rooms, great pool and spa. Only criticism was that the iron in my room left a series of black marks on my shorts with ruined them . As I was travelling light I had to catch subs to harbourtown to purchase another pair. Staff didn’t seem overly fussed and though I might have been offered something to compensate , ie meal voucher or discount off next stay , I got them dry cleaned thro hotel but they were no good, I was about to be charged for that too until I put my foot down , I’d stay there again but just wouldn’t use the iron !!! no complaints been here before and pretty consistent service. No complaints here. All positive. I always stay at the Stamford when I'm working or staying in Adelaide. 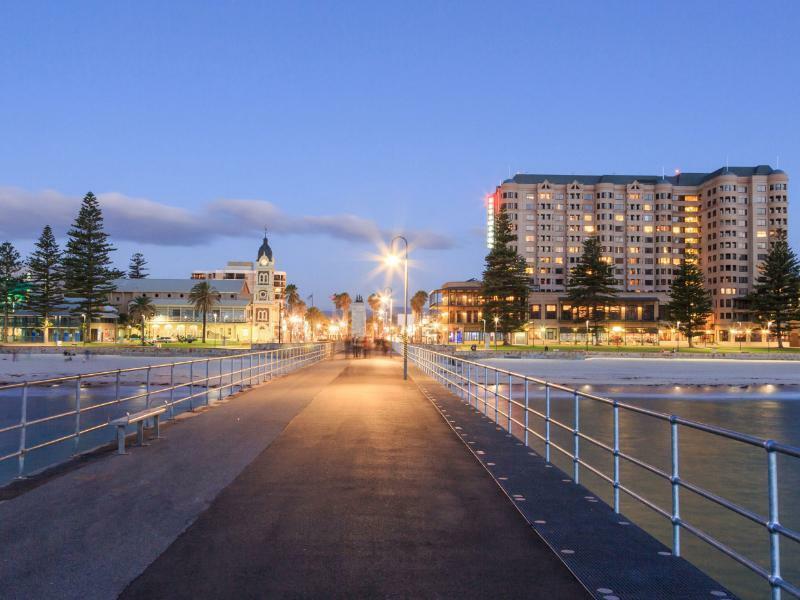 The location is amazing in Glenelg right on the beach and it isn't that far to drive or cab to the city. The staff are great, the hotel facilities are great, I can't fault the place at all. It's been a while since I've stayed at the Grand but it was great to see how much it’s now supported by the restaurants and general shopping in the area. What I like about the Grand is you don't have to battle the city traffic of a night to get to your hotel. There’s lots to do and see and the staff are great. Close to the city and airport, highly recommended. when you stay here but ut will cost you, $180 even on an off peak night. Great old hotel with magnificent rooms and that view onto Glenelg beach,oh my! Wifi is not free, which surprised me, but otherwise cannot fault this grand dame of Adelaide hotels. Even just after a statewide power blackout and storms a gorgeous place to stop even for a night or two. My friend and I had a lovely stay, and was pleasantly surprised with the upgrade to our room. The views were great, the location was great and lots of restaurants right at the door. And the friendliness and attentiveness of the staff could not be faulted. Will definitely stay again. 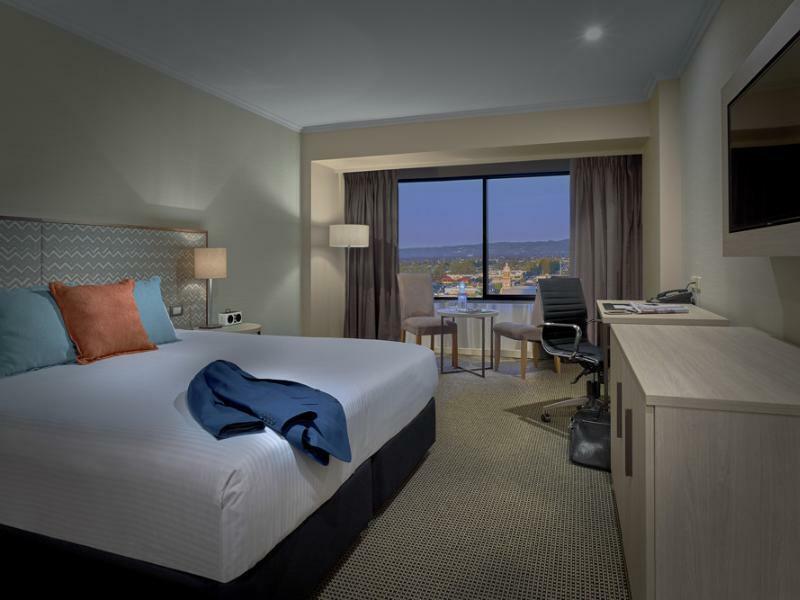 Whilst expensive, the Stamford Grand is a good location for the Glenelg area. It is suitable for all age groups. Staff are pretty good and the hotel is clean as you would expect for this price. Having travelled a lot, I would say it just meets minimum 5 Star rating. Probably more an upper 4 Star. My stay was short, only 2 nights, for business. Quality and condition was nice, and location was absolutely fantastic. Room with an ocean view (no balcony) was gorgeous. Only a few things weren't great ... windows dont open, so the full experience of an ocean view was a bit let down by that. Also, with a hotel of this standard, internet usage was like $20 or $25 per day (cant remember exact amount), which is a bit outrageous in today's hotel market. Also charge $20 per night for parking. But staff was very friendly and helpful. Vintage style of hotel is very nice, and a change from all the ultra-modern styles going around today. The lounge with open air views of the ocean is fantastic. Food is very expensive (breakfast was $30+ pp) unless you're having whatever the monthly special is (mine was a burger w/fries for $17). Will definitely stay here again next time, as the positives outweigh the negatives. good location, but amenities in bathroom very limited. id like to see bigger piece of soap at least. 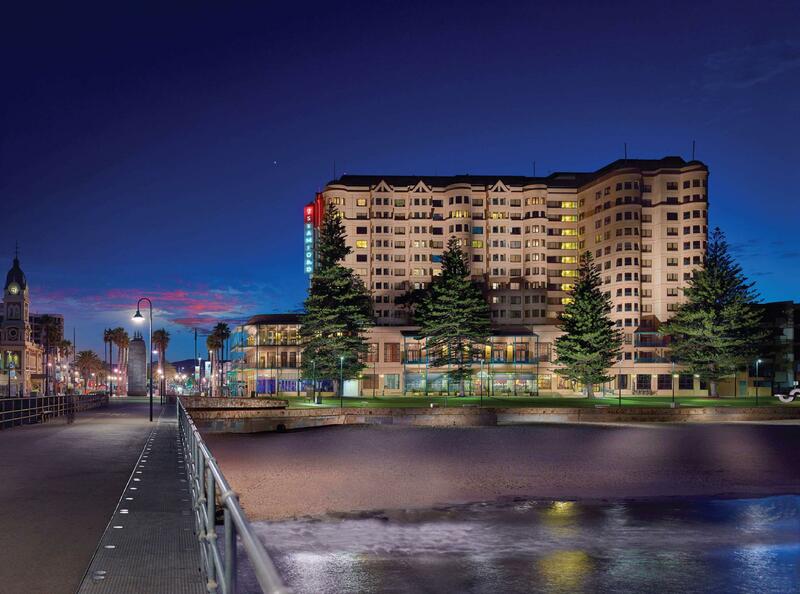 We came back to Stamford Grand Hotel at Glenelg this year as we stayed here last year. A lots restaurant surround, and front of beach, easy to go city. Very happy to stay there! This hotel is very nice with friendly and helpful staff... the breakfast is superp... location is the best... in the middle of mosley square... concierge was very helpful... all hotel staff are great.